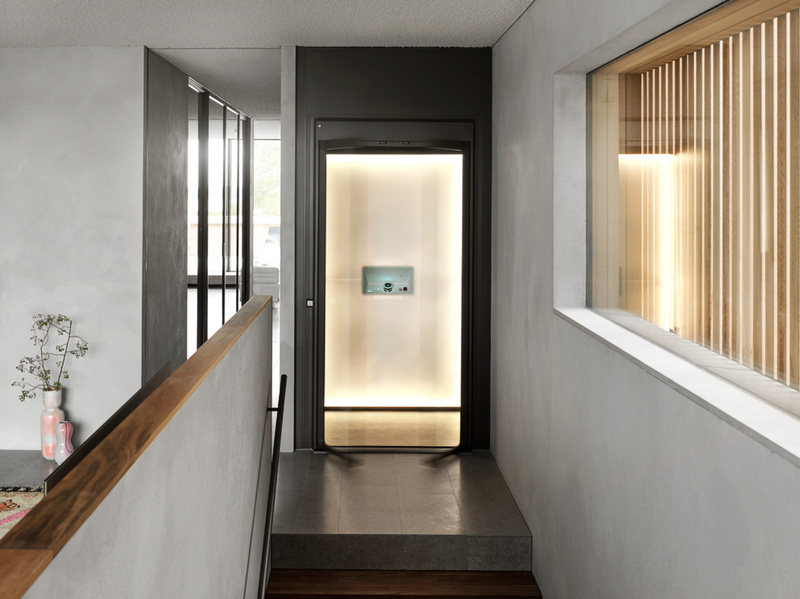 Aritco, producer of the world’s first design-led domestic lift kicked off their 2019 campaign during Stockholm Design Week. The first of a series of these Aritco global design-led events was held in collaboration with the design duo Farg&Blanche at the highly-acclaimed exhibition ‘Baker’s House’. Emma Blanche’s great-great grandfather’s home in central Stockholm was the setting for a stimulating talk on “How can craft support new ways of living and working in a high-tech future?”. The discussion with chaired by Marcus Fairs of Dezeen and panelists include Emma Blanche, Marco Checchi of Studio Stockholm and Alexander Lervik, the designer of the Aritco HomeLift. 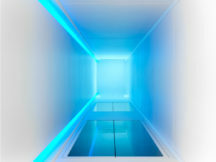 In addition, Aritco is pleased to announce it has embarked on a collaboration with Farg&Blanche to customise one of their lifts, bringing to life the theme of ‘craft meets technology’. Aritco’s next stop will be at CIFF, the 41st annual Chinese International Furniture Fair in Guangzhou (18-21st March), and Aritco also has plans to return to 100% Design in London during the London Design Festival. Aritco’s well-established relationship with Swedish designer Alexander Lervik is continuing with further product development work following the widely acclaimed HomeLift he designed for the brand. 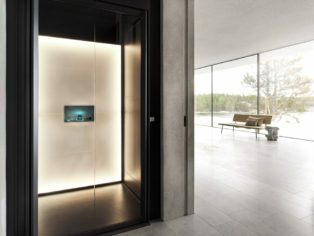 One of Sweden’s top designers, Lervik was tasked to design the lift as if it was a piece of furniture, using light and the latest technology to make it adaptable to modern ways of living, and the smart homes of the future. The Aritco HomeLift is sleek, strong, light, silent, safe, low-maintenance and can be controlled via a smartphone. Crucially it comes with its own shaft, making installation into both new and existing homes straightforward. Crafted from large panes of laminated, scratch-proof, acrylic glass with no visible screws or fixings, its backlit DesignWall comes in a range of 9 patterns and colours. 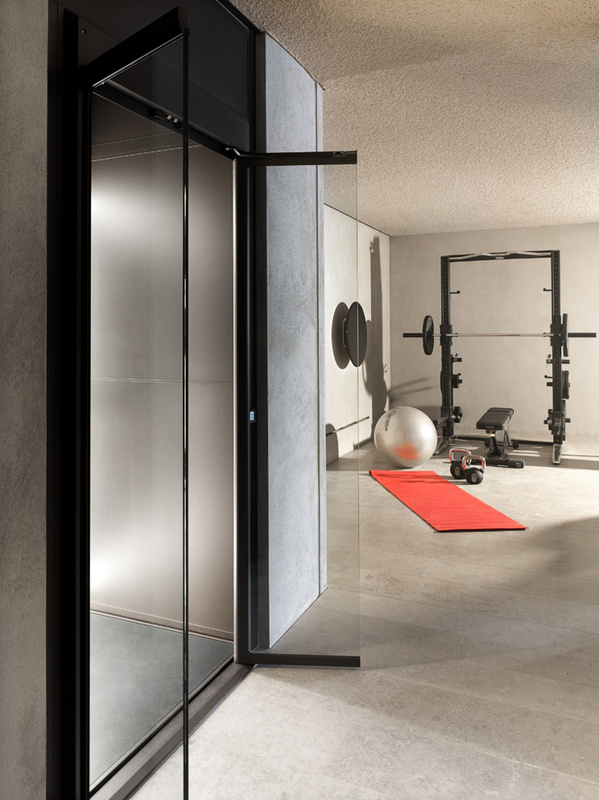 Walls and doors are all 10mm thick, making each lift entirely customisable. 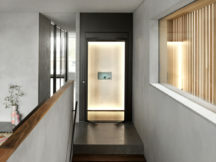 Soft white, recessed LED lighting along the walls and in the lift’s ceiling can be controlled via the SmartLift app, developed in-house by Aritco – coloured light to create different moods is optional. The SmartControl panel inside the lift is intuitive and ergonomic, and the SmartSafety system includes child locks, an alarm button and battery-operated backup in case of power failure. 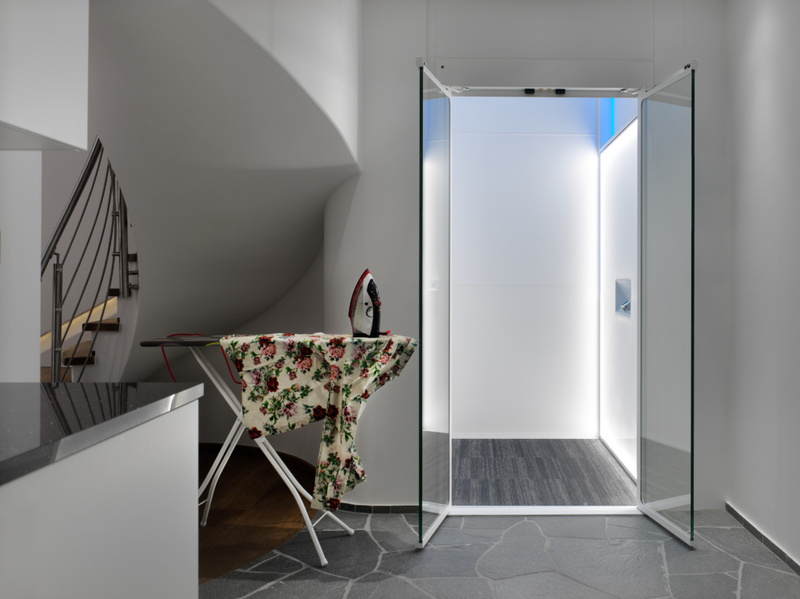 The double doors of the lift, crafted from two beautiful glass blades, take up minimal space and are equipped with smart door openers that sense if something is in the way. High quality PVC carpet from Swedish supplier Bolon on the platform lift floor is durable and easy to clean. “It took three years, from a blank sheet of paper to the final product. I designed everything from the shaft to the lift platform and also came up with a whole new solution for the control panel. My ambition was to come up with the ultimate flexibility for consumers, who have to be able to identify with their choice of lift through a range of options in terms of materials and colours”, says Lervik.